Join Arounna in creating your own unique design using the Oxford punch needle. In this 3 hour workshop, learn the basic fundamentals of this very popular and addictive technique. This traditional technique of rug hooking is fun and a quick way to create an image that can be used for wall hangings, pillows and rugs. In this workshop, you will create your own art wall hanging to take home! 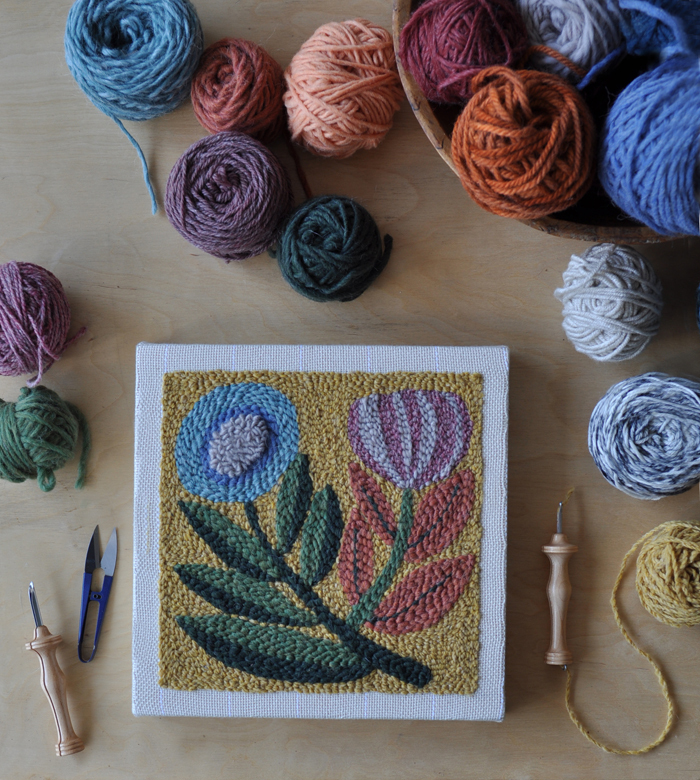 Included with the purchase of this workshop, you will receive a kit that consists of the oxford punch needle, frame pre-stretched with monks cloth and a selection of yarn.